Roy reveals something about the shootings in Roseburg, Oregon that the media ignored. It is a dangerous trend that is breaking down goodness. By the end of the talk, you’ll understand why Roy says, “I appeal to my audience to support me. I need to become the media.” You’ll hear a powerful retelling of a story from Roy’s past that is so strong it calls out the enemy in his own audience. Watch every program on TV and the Internet and you’ll not find one that can affect a change like you’ll see here. You will see Roy help a woman to leave behind her painful hypnosis to once again become human. We are witness to a living miracle. 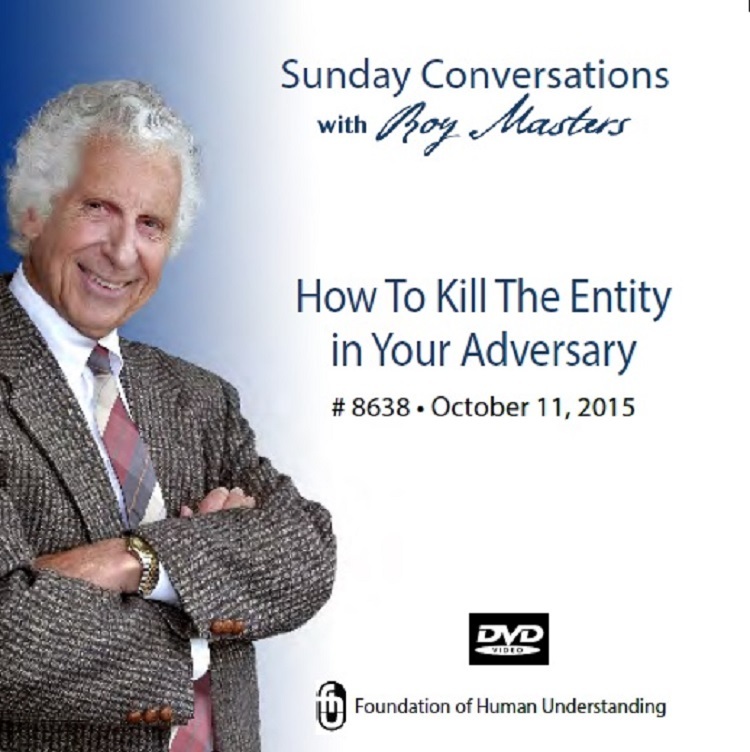 Roy does not comfort wickedness, he kills entities.